​A collaboration between UMass Permaculture and the UMass Student Farm, the UMass Student Farmers' Market is a weekly event featuring live music, fresh local veggies, medicinal herbs, handmade crafts, student art, and an opportunity to get to know the amazing sustainability and DIY community on the UMass campus. 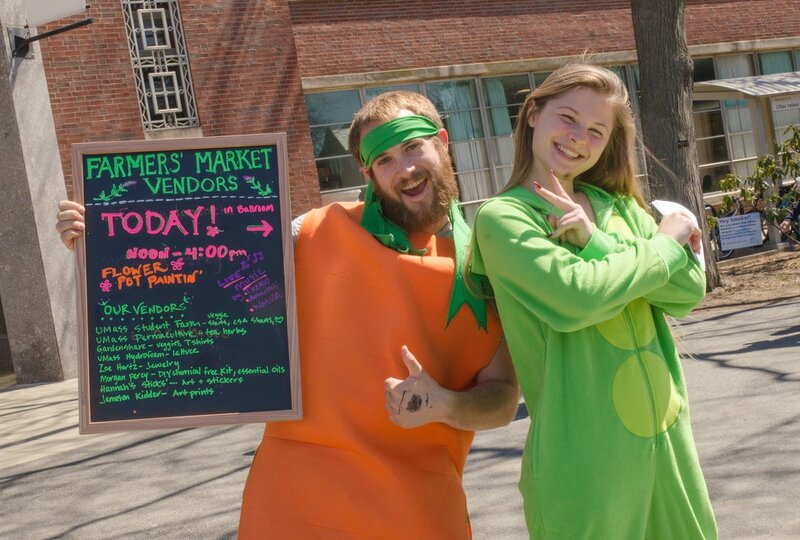 Student Farmers dressed as veggies and advertising the Student Farmers' Market, where they distribute their CSA shares. 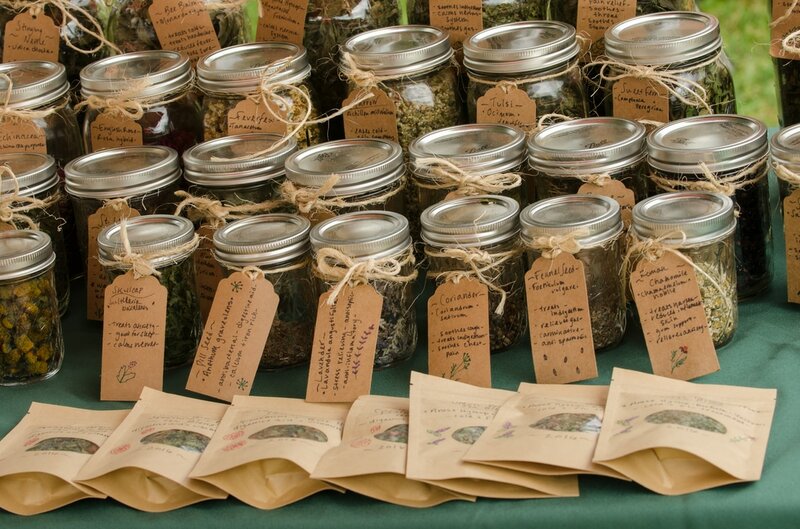 Dried herbs from the UMass Permaculture Gardens for sale at the Student Farmers' Market. Become a Vendor or Performer at the Market! Are you looking to sell your art or other handmade goods in a cool community space? Are you in a student group that wants to have a table at the market? Are you in a band that is looking to perform at the farmers market? Sign up to be a vendor! It's free and easy to do. 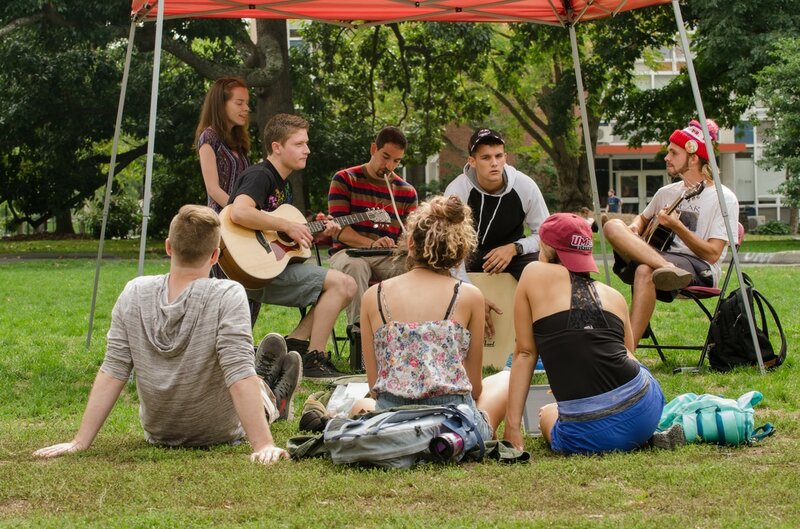 Students jamming on the Farmers' Market lawn. 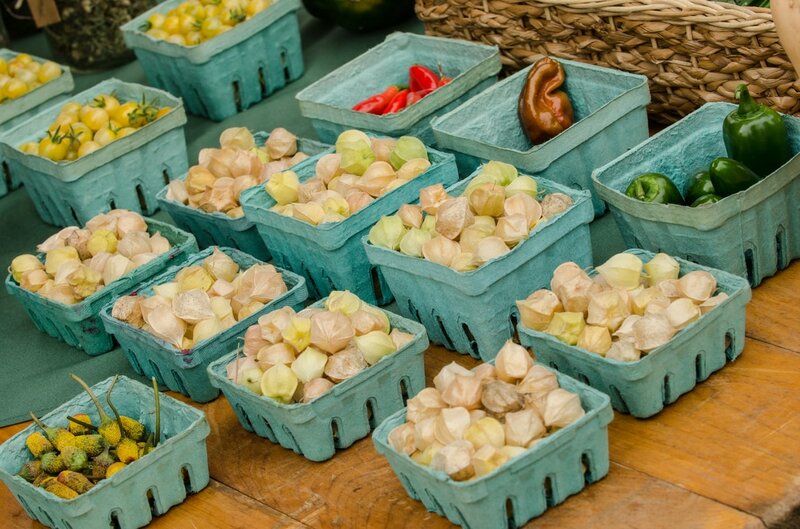 UMass Permaculture's husk cherries for sale at the Farmers' Market.